The countdown to the Liebherr 2018 World Team Table Tennis Championships is approaching its closing stages with the action getting underway in Halmstad, Sweden on Sunday 29th April and you can watch the world's biggest table tennis stars live with itTV. Up to 12 tables will be available to watch live on itTV with every match from the Men’s Championship Division and Women’s Championship Division to be live streamed on the platform for the first time. 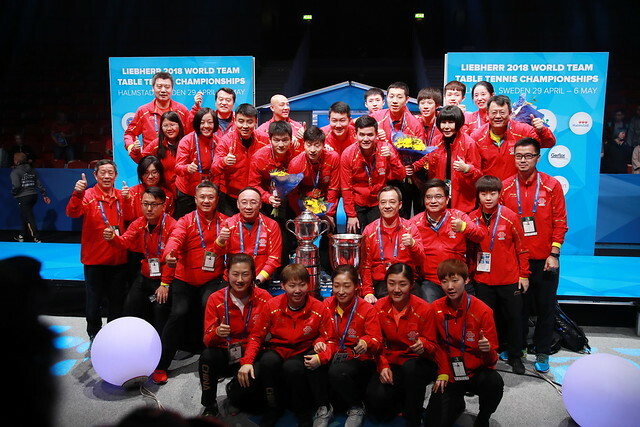 Starting with group stage action, 24 teams will contest the two Championship Divisions with Team China aiming to successfully defend both titles over the course of the next week in Halmstad.